Google has started a new service, Google Books. And of course you can search for any other subject there (like books about Greece). In Sfakiá is an affectionate, personal account of the historic and remote Cretan region of Sfakia and its main village, Chora Sfakion, as encountered by the author and his wife starting in the late 1970s. The landscape is rugged, as are the Sfakian people, who are renowned for their heroism, fierceness, dignity and independance - and even today they remain "hospitable to the point of insanity". We follow the couple as they become increasingly engaged with the local people, language, customs, landscape, history and legends, tragedies and triumphs of the region; we learn of their personal adventures and observe their gradually increasing understanding of Village life. Peter Trudgill fell in love with Greece when he hitch-hiked to Athens from his home in Norwich, England, in 1963. He first saw the mountains of Crete rising out of the dawn mist from the deck of a ferry in 1974, and since then he and his American wife Jean have visited Sfakia more than 60 times. Peter Trudgill is a sociolinguist who has published extensively on dialects of Greek, English and other languages. The book is available in Greek and French, here. 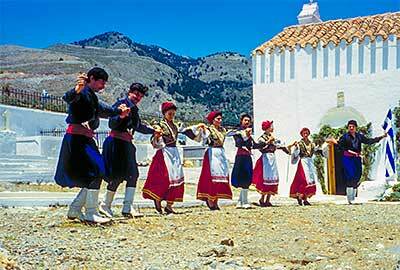 A second photo book, "The first trip to Sfakia" about Greece, Crete and Sfakia is in preparation. On the rugged and remote coast of southwest Crete, the fiercely proud and independent people of Sfakia have survived millennia of invasions by many of the world’s most aggressive and dominant civilisations. This book describes the lives of the indomitable and warrior-like Sfakian people as they struggled to thrive among and against the major Empires of Europe – Hellenic, Roman, Arab, Byzantine, Venetian and Ottoman – and to oppose the German occupation during World War II. With a rich detailing of the oral history of the region and of information gleaned from years of meticulous archival research, this book captures the spirit of the Sfakian people who have mastered its deep gorges, high plateaus and awe-inspiring mountains. This comprehensive historical account is written for people with an interest in Sfakia and its turbulent past, and in particular for Sfakians and Cretans of the diaspora who are not able to access Greek language history books and research that deals with this subject. Now published as a full colour guide, this new edition supersedes and expands Cicerone's original guide to The White Mountains, with additional routes, photographs and information for the Psiloritis and Lassithi ranges, and new mapping. With an agreeable climate, an amazing landscape and a history stretching back to the start of civilisation, Crete makes an outstanding destination. The beauty of the Gorge of Samaria National Park in Sfakia is well known, but Crete offers many other spectacular gorges, together with numerous peaks rising to over 2100m. There are high mountain plains, forested crags, massive cliffs, and remote beaches. Proud, but also informal, friendly and hospitable, Cretans offer a range of facilities to visitors both in the countryside and on the coast. This work features general information on: walking in Crete; Western Crete: 53 walks in the White Mountains and south coast, mainly in Sfakia, together with 10 multi-day trekking routes; Central Crete: 17 walks and treks on Mount Ida; Eastern Crete: 12 walks and treks in the Lassithi Mountains; and, E4 Trail across each of these ranges. Travels in Crete, Pashley, Robert esq. 1989 reprint of Pashley's travels to Crete in 2 paperback volumes. Originally published in 1837. Black and white reprints of the plans and prints and a fold out map at the rear; the pages are bound together at the top in what I'd like to say is traditional 19th century fashion but is more 20th century Greek style! Still these are very nice reprints and very welcome. An absolutely fantastic book and essential for those interested in topography, geography and anything that goes with creation and formation of the landscape. If you love Crete this book is for you. Walking, flora and fauna, anthropology. with recipes by: Sam Naomis, Nina Vleugels, Niki Montes, Roger Abbott, Birgit (from Denmark), Mina Kupferman, Allan Simister, Tim and Brigid Todd, Koidu Raudvere, Uffe Sandas, Florence (from Paris). Manolis Alifierakis, Hilde Huecking, Ted Georgakis, Roberto Delfini, Erno Verhoeven, Julie Friedeberger, Alan Teague, Ann-Karin Vinje, Stuart Simon, Marjeta Novak, Lars and Birte (from Sweden), Karen (Katina) Evans, Steve and Lin Ince. Recipes culled from as far apart as New Zealand to Britain and the USA to Slovenia, in aid of a very worthy cause indeed. Click on this hyperlink to enter "The Preveli Project Page" and discover more about this charity. The book is in both German and English. Proceeds go to The Preveli Project. Fabulous reprint of Lear's sketchings and paintings of Crete during the 19th century. Athens: PAPERBACK. Splendid travelogue written by an American who spent 6 years on the island of Crete with his Swedish wife, Inga. A few b/w illustrations at the rear. Probably the best all-round perspective of the events up to, including and after the ten days in May 1941. Well written and very informative, the book is based upon interviews with those who took part and historical records. Perhaps not the best book specifically on WWII, this book however is superb for periods leading up to it, so if you want to glimpse the past that made the Cretans the way they are this is definately a book for you. GRETRA WW2 CRETE MGH paperback. A fascinating history of events as viewed by those involved at the time - Allied and German- through letters, newspaper articles and personal accounts, superbly compiled by the editors. 'Boys Own' stuff with the true story of the kidnapping of the German leader of operations on Crete, General Kreipe, from his unrightful place at the Villa Ariadne to Egypt. Ignores the repercussions that were meted out on Cretan villagers but leaves you with the sort of warm feeling you get when you've just stuck one over on your mortal enemy. Hoorah! This is a magnificent book detailing the heroic deeds of the author and his part in the resistance. The 'runner' of the title refers to the elite band of men who knew the Cretan landscape well enough to escape detection by the Germans as they carried messages, smuggled arms and led Allied soldiers through land heavily populated with German soldiers. "Pilgrims, merchants and travellers from Britain saw Crete as an object of interest in the eastern Mediterranean from medieval times. They were followed by antiquaries, geographers, mapmakers, the Royal Navy, and in the late 19th c. by the first archaeologists. Excavation and research have continued to flourish there. One hundred years after Sir Arthur Evans began his work, the British School at Athens recalls in this collection of essays the many aspects of British scholarship which have formed part of an international effort to throw light on the past of the whole island from the earliest Neolithic settlements to the Cretan Renaissance." A wonderful book, though for pre 20th century travellers the best book is "Across Crete". 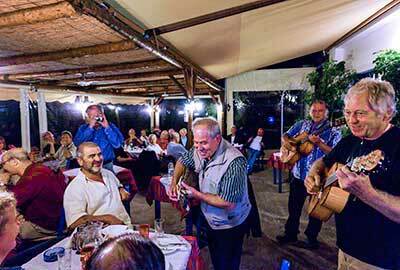 Poetics of Manhood: Contest and Identity in a Cretan Mountain Village. Glendi, (a ficticious name for a real village, which is pretty easy to work out should you ever visit it) is used for this superb anthropolical case study by Indiana University Professor, Michael Herzfeld. A detailed, objective and compelling account of the villagers famed for their sustained resistance to Turkish Rule and then to German occupation. A wonderful book. Have you ever wondered how it felt to be one of the first people to visit Crete, and to discover many ancient cities and beauty-spots of nature? Or how it must have felt to travel without the comforts of the modern age in unknown and dangerous regions? Then read this book. In it you can follow the journeys of the Cambridge scholar Pashley, the British naval officer Spratt, the ecclesiastic Pococke and the watercolourist Lear. Their "discovery" of Crete in the eighteenth and nineteenth centuries offers you an excellent introduction to the modern island. 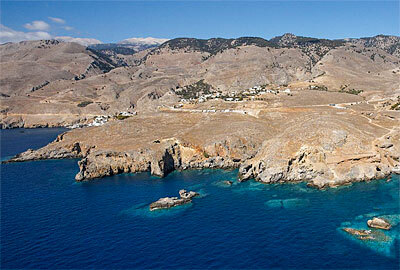 You will feel as if you were discovering Crete yourself. The book contains a selection of their writings organized as stages of a tour across Crete. Each stage is preceded by a description of the modern setting of the region and its past. You can follow the routes of the travellers on many detailed maps. Many legends concerning Crete can also be found here, such as the stories of Europa and the Bull, Theseus and the Minotaur, the flight of Daedalus and Icarus, the Birth of the Gods, and the Ruin of Atlantis. All have been translated directly from their original Greek or Latin forms. 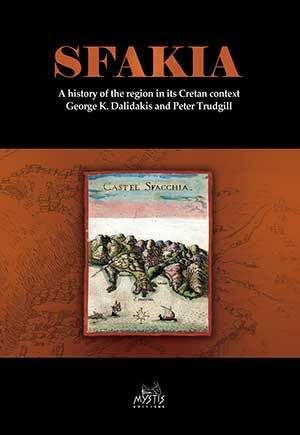 This first book in a series of three focuses on central Crete, between Khania and Iraklion. The other two volumes, which deal with the eastern and western parts of Crete, are unfortunately not going to be published.